Joséphine never wore but one jewel at a time , although she loved them and had so many that they would not all get in the large jewel cabinet which had belonged to Marie Antoinette . But Joséphine understood the value of wearing only one, so that that one would shine out in all its glory. Modern women might well take the taste of Joséphine as a guide for their own taste in the matter of jewels. The hand that is laden with rings containing a dozen different stones is not half so attractive as the hand that is decked out with stones of only two kinds. 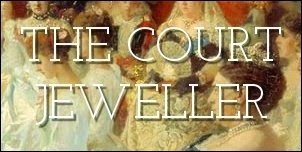 And when jewels of one sort are worn in the hair, another sort about the neck, and still others on the arms and fingers, the effect loses force. Certain stones can be effectively combined. Diamonds look well with almost any other stone. Pearls can be safely worn with most other stones. And occasionally stones of two strongly contrasting colors can be worn together. But remember that a single jewel, carefully chosen, is more effective than half a dozen picked out at random. 1. 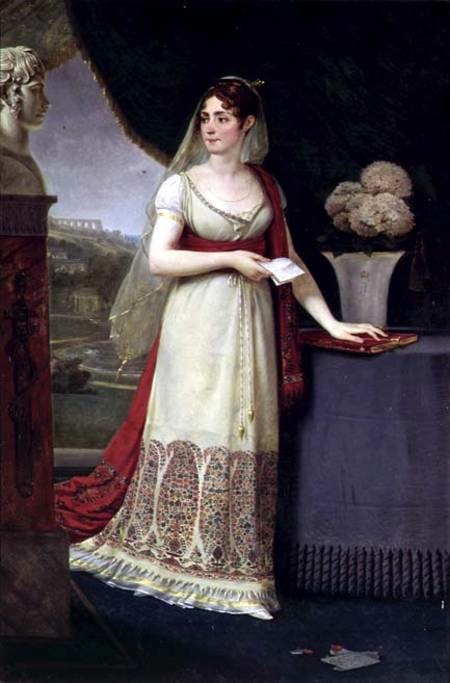 Joséphine de Beauharnais (1763-1814) was the first wife of Napoleon Bonaparte and, therefore, France's empress consort from 1804-1810, when Napoleon divorced her. 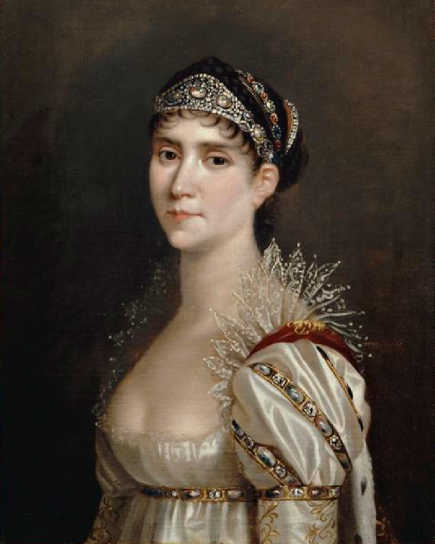 Her style of dress was incredibly influential, though calling her use of jewelry "minimal" is not precisely accurate. 2. 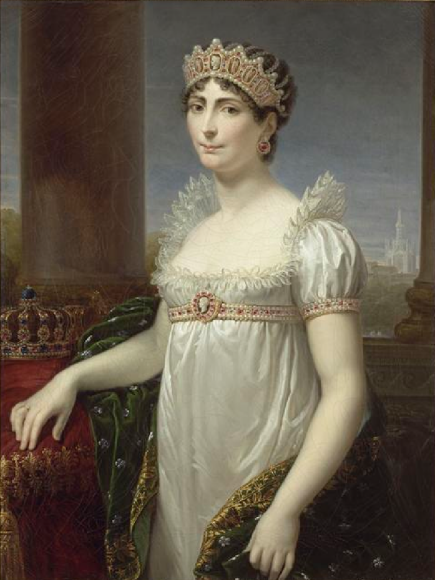 Marie Louise of Austria (1791-1847) was Napoleon's second wife and France's empress consort from 1810-1814. She was the daughter of the Holy Roman Emperor, Francis II, and Maria Theresa of Naples. 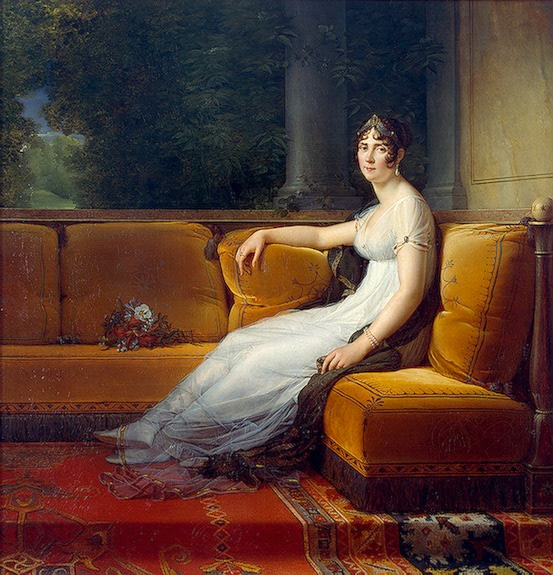 Marie Louise was created Duchess of Parma by the Treaty of Fontainebleau in 1814, and she ruled the duchy until her death. 3. 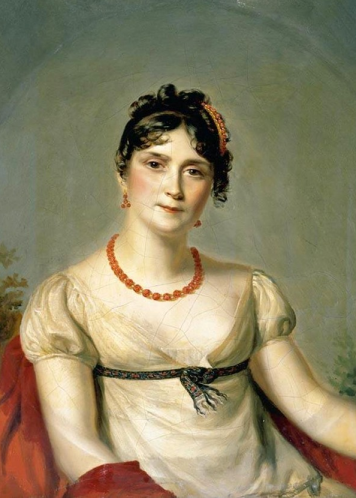 Joséphine definitely wore more than one jewel at a time. She did, however, often wear matching sets or parures of coordinating jewels. 4. Marie Antoinette of Austria (1755-1793) was France's queen consort from 1774-1791. She was the wife of King Louis XVI of France; both she and her husband were guillotined in Paris in the aftermath of the 1789 French Revolution.